Hi everyone! My name is Deborah and I'm one of the bloggers from the blog Love. Varnish, chocolate and more... which I run together with my friend Loqi. When Steph asked me to guest post I immediately agreed. I consider her a polish buddy, especially since I could join her as an admin for the Hobby Polish Bloggers Facebook group, and she's also one of the bloggers I have been following for years now and is actually part of the whole fun polish experience for me. When thinking of something to create for her, at first I had a fun lime to grass green gradient in mind with some stamping. But then I went to a museum and saw a painting that I just had to translate to my nails. I know Steph loves art and she likes the color blue, so this felt like it was meant to be featured here :-). 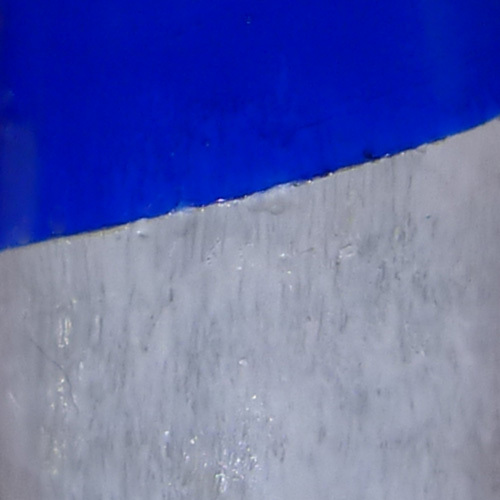 The painting I used for my inspiration is called Deling Ultramarijn which translates to Division Ultramarine. It's painted by JCJ Vanderheyden in 1984. He was a Dutch artist that didn't just focus on paintings, but also worked as a photographer, sculptor and movie director along with other talents. Paintings can always trigger different emotions for everyone, but for me this specific painting showed a feeling of freedom, space, exploring the world. 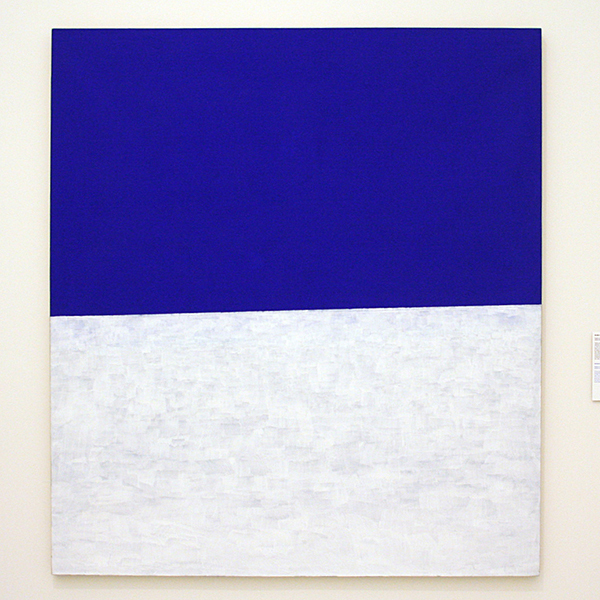 The ultramarine part of the painting resembling the ultra bright sky and the bottom half looking like the puffy white clouds you pass when taking off with a plane are what I see in this painting. 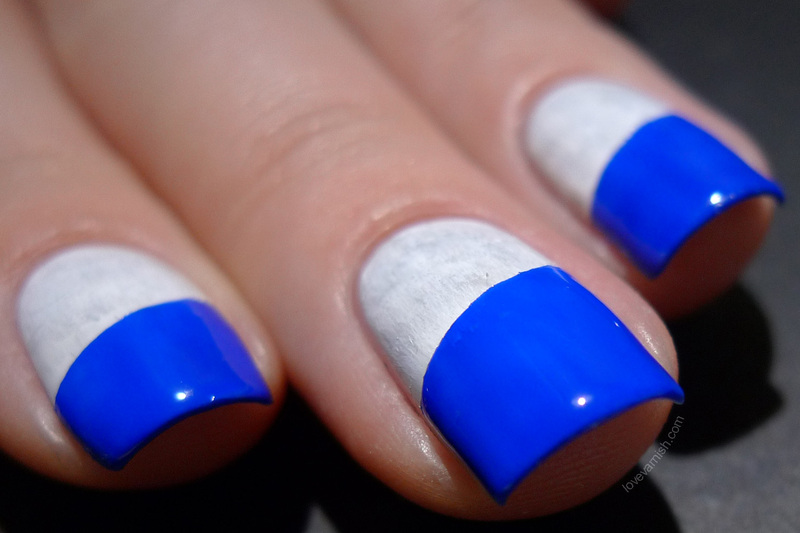 To create this look, I started with a base of OPI My Boyfriend Scales Walls (3 coats). After it dried I used a square cut brush and a sheer soft grey polish, and using short strokes I created some depth on the white base. Now it looked kinda murky and dark so using a stark white polish and the same technique, I brushed on the white over the grey. This now resembles the bottom half of the painting. 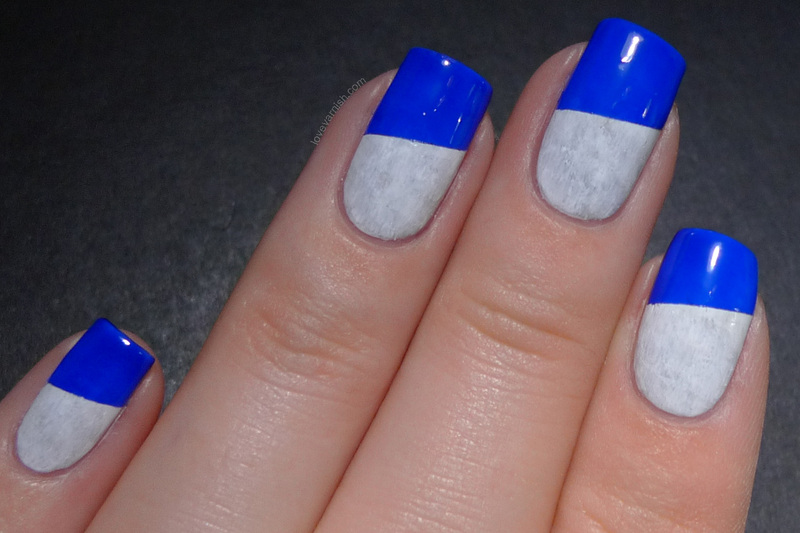 Then I taped off the half of my nail and used Essence Cool & The Gang to create the top half of the painting. Carefully remove the tape and you're done! No topcoat because it looks more realistic without :-). I am super proud how these came out - I'm usually not the creative or unique nail art kind of girl but these nails really stand out to me. Let me know what you think of it! Oh, and yes, that shade of blue doesn't seem to match... but I just couldn't get it to photograph right. Annoying blue shades freaking out the camera! To see more of my work I invite you to check my Instagram, Facebook & Twitter. I love to meet (new) readers! Thanks for having me guest post Steph, and I hope you enjoyed this post :-). Nice guest post! 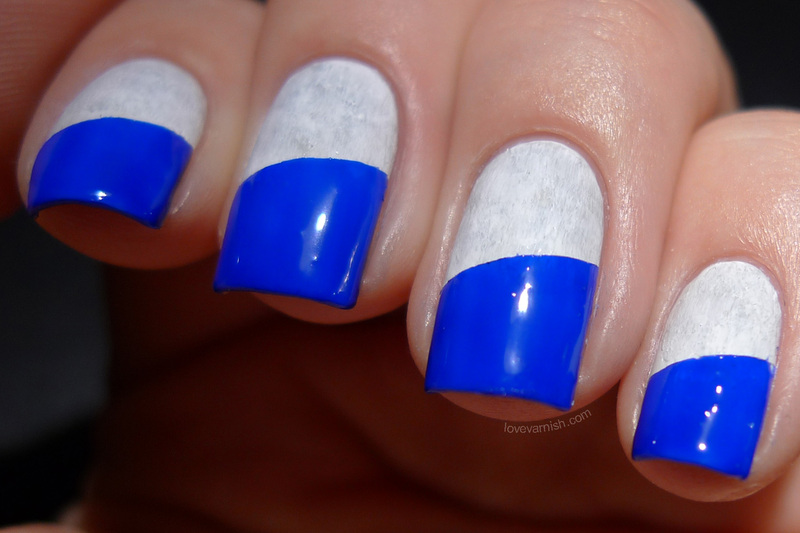 I like how simple but still very pretty the nail art is. Great inspriton too. This is absolute perfection! I love how you did this Deborah! Absolutely Fabulous! The painting can be seen in Het Noordbrabants Museum in 's-hertogenbosch The Nethelands. Great to see it was such an inspiration!